Next time a liberal Democrat justifies Obamacare as a better alternative than private insurance companies, remind them of sovereign immunity. Even as we “politicos” wrangle over policies and issues, we are still losing the debate on conservatism. This article brought that home. The bolded words is where the writer went wrong. He has confused conservative with Republican. I can understand his mistake. Most people make the same mistake. However, the reason most conservatives vote Republican is that fact that we lose less freedom and at a slower pace than if we were to vote for the Democrat instead. He doesn’t understand that conservatism isn’t a political ideology but a way of living in that freedom he is in such fear of losing. Conservatives are individuals and believe in individual freedom and come at our decisions in individual ways knowing there is no “one size fits all” solution to any problem whether it’s on a personal or national level. Not even state to state. 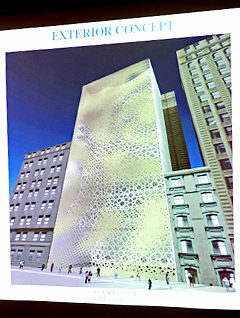 There have been a lot of knee jerk reactions to the Ground Zero Mosque/Cultural Center. I’ve had my own, which was troubling as I generally don’t care about others’ religion except in the general sense of wanting everyone to go to Heaven. Why we’ve had such visceral reactions is not easy to put into words and most will fail at putting it into words, though I’ll give it a try. Our understanding of Islam is that it is not “just a religion” but a whole system of government and economics as well as religion. This runs counter to the main argument being used by both sides. To date, the framers of the debate on the Ground Zero Mosque, have designated freedom of religion as the hill to die on. The problem with this approach is that it allows those debating to avoid the big issues lurking underneath. Just as we Christians have different doctrinal flavors (Lutheran, Baptist, Episcopal, Catholic, and so on) so does Islam. The particular “flavor” of Islam that is being promoted with the construction of the Ground Zero Mosque is that of Wahhabism and Sharia Law. The author of the article likens it to a Tennesee Williams play. Mary Landrieu sold out the country for $300 million, not $100 million as previously reported. Dana Milbank is right. It is a play but nothing really like those from Williams. The script has become old and worn from overuse and the lines have been memorized by those who hear them, more so than those who act the parts for our benefit. The patrons are mutinous demanding better for their money but the actors seemed locked into this one play unable to step out of it to engage in another. How many times have we heard this same claim, yet, 97% of all bills that are approved in cloture become law. The actor indicates he hears the mutinous crowd, promising something different, but as the final act ensues we hear once again the same tired lines that echo in our memory like a too real nightmare proving to the patrons they were not heard at all. Note: This is quite likely one of the shortest posts I’ve ever written but does anything more really need to be said?